The popularity of mobile web usage seems to be phenomenal since past few years. As per experts by 2015 more than 90 percent of users would be switching off from their PCs to mobile devices for a number of professional and personal usages. Thanks to the popularity of devices like smartphones and tablets, accessing the web through devices have become very much common. The users accessing web through mobile devices or any other platform would often like to know where they have landed and how to move ahead. You should confuse your mobile users by putting all the vital information over the mobile website, which are easy to locate. For better and simpler navigation, you need to minimize the scrolling as much as possible and keep it either horizontal or vertical, avoid using both at the same time. Users should be able to navigate easily with clear Back and Home buttons. If the sites are complex, make sure you put a search box there and keep in mind that these are clearly visible. Since the mobile users access the web using the touch screen interfaces, which commonly seek the help of thumb hence it is important to design the sites thumb friendly. A competent mobile web design must carry links or buttons, which are big in size to fit very easily to big and small thumbs. This will help them to interact easily with such thumb friendly sites. Lastly, avoid using the large buttons with good amount of space simply to avoid several accidental clicks. Over the web, people hardly have time to know about and what you offer. If you fail to make a good impression within few seconds over the visitors you are more likely to lose your prospective customers or reader coming to your site. Hence while producing content for your mobile web designs, you are supposed to put important content over the top and make sure you avoid the banners ads as much as you could. Visitors accessing the websites often come there to find out relevant content, hence it should be very easy to find and peruse. 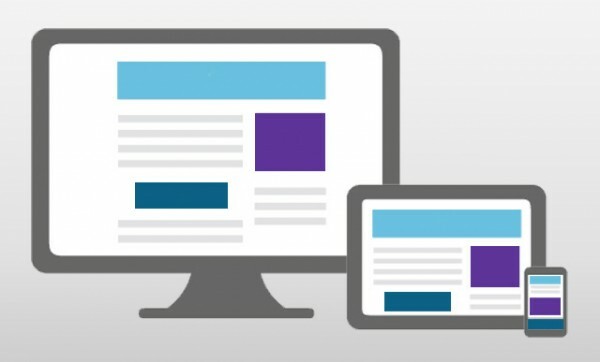 While creating mobile site design, make sure you create it more visible. The users could remain in a dark place when he or she is surfing the web. Hence you are supposed to create a right kind of contrast between your text and background. Ensure a fact that your web page content simply fits over the screen without zooming it. Lastly don’t forget to use good amount of blank spaces in it. When you talk about web designs for the mobile devices, it poses a number of challenges before the web designers and developers. At times it could be difficult to manage hence the only way out is to understand this interface in and out and design the mobile web as per its requirements. These tips would help you in creating good mobile web designs. Margaret is a writer/blogger. She loves writing, travelling and reading books. She contributes to Geneen Stuart.